This is my first Valentines Day with a toddler and I am super excited to have a little buddy to do crafts with. 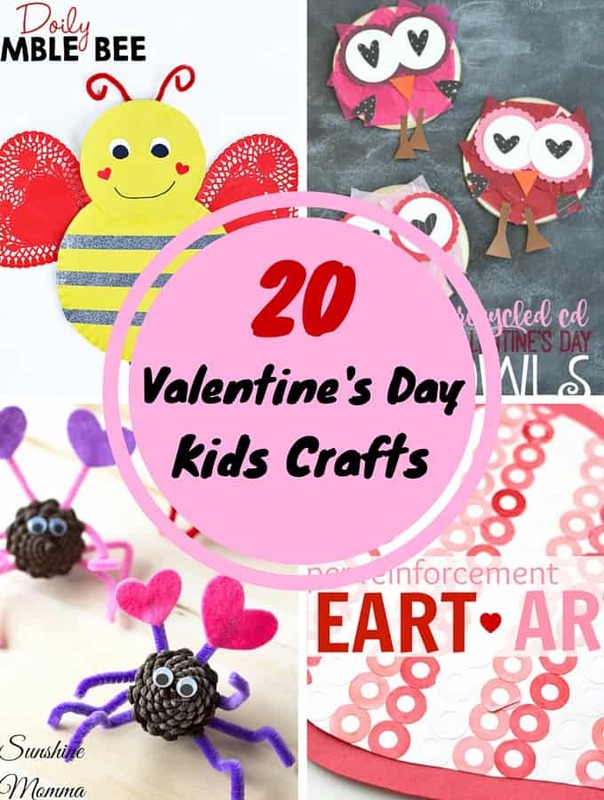 Since it is right around the corner I gathered these 20 Valentine’s Day crafts for kids (and you!) to enjoy. Color Your Own Valentines– Easy coloring Valentines that your kids can give away at school! Homemade Valentines Day Gift– You can change this into a finger-painting activity for younger children. DIY Valentines Day Wreath– This is pretty for the house and you can recruit your children to help make it for some fun family craft time! Valentines Day Science Experiment– SO COOL! 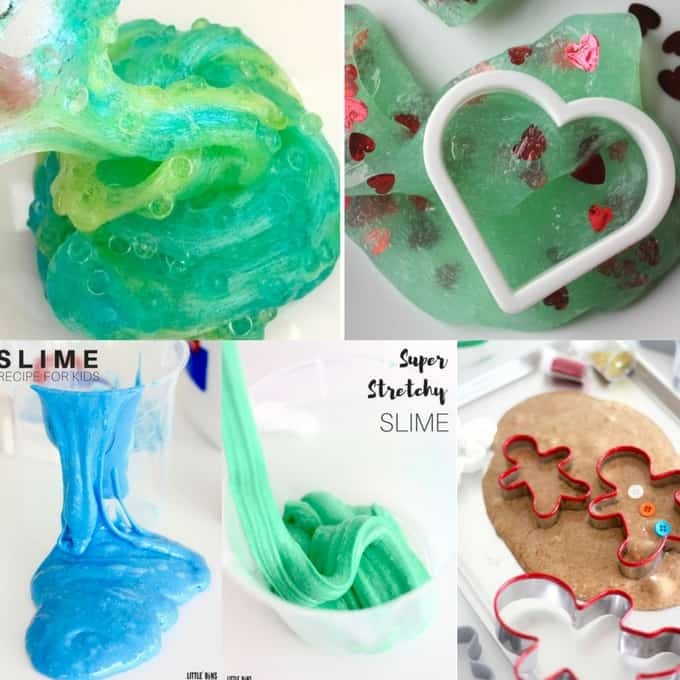 Valentines Slime Sensory Play– My 15 month old is going to love this activity! Crystal Hearts Valentines Science Experiment– This one is a fun project for science teachers to do in February! Valentines Frozen Hands Ice Melting Science Activity– I’ve never seen anything like this one. It looks so fun! Easy Valentines Play Dough Recipe– You can make this play dough with simple items from your kitchen! Heart Necklaces– I used to LOVE finger knitting in grade school. It’s a really fun way for kids to get started with yarn projects. Easy Valentines Day Necklaces– These would be cool to hand out at the kids Valentines Day parties at school. Paper Reinforcement Heart Art– This is a really fun motor activity for kids! Pine Cone Love Bugs– I love these little guys! Rainbow Heart Suncatchers– so pretty! Paper Bag Valentine Mouse– My old preschool classroom LOVED paper bag crafts. Especially making animal puppets out of them like this! Paper Plate Love Monster– Another great classroom activity after you all read the book. Doily Bumble Bee Valentines Day Craft– I would say this is an activity for older children. My teacher friends should try this and hang them in the classroom! “You Make My Heart Soar” Fingerprint Card– I know my kids Grandparents would LOVE these. Handprint Lion Card “You’re A-Rawr-Able”– these are so adorable and something you can do with smaller children as a gift! One of the best parts of Valentine’s Day as a kid is taking your DIY Valentine Boxes to class and collecting Valentines from your classmates. Try one of these creative ideas if you and the kids are stuck and can’t think of how to design your boxes this year! Starting with the most simple (and cheap!) Valentine’s box…the duct tape Valentine’s Box! Transform a cardboard box into a heart flower garden to collect your Valentine’s. 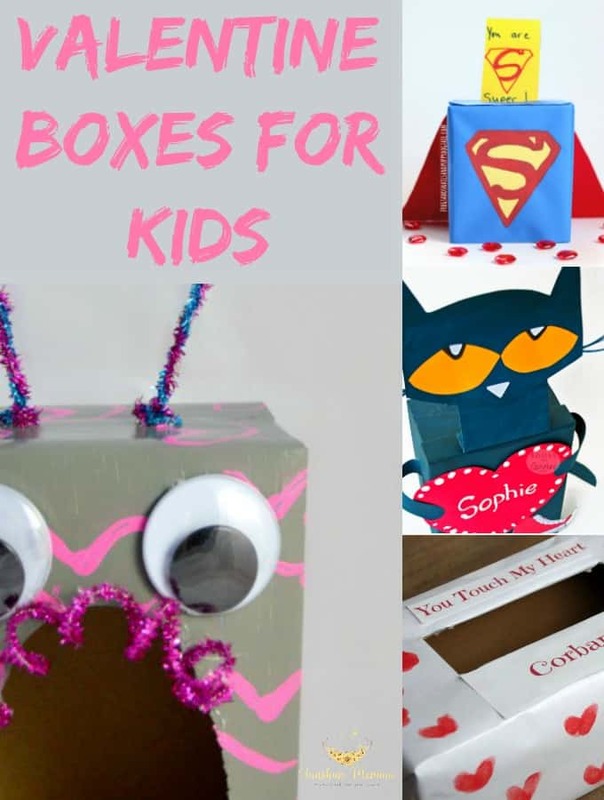 Have some fun with your little monsters creating a Valentine’s monster box. Reptile lovers will be thrilled to bring crocodile Valentines box to collect their special Valentines! Almost all kiddos go through a Lego loving phase…if your’s in going through it they will love the Lego brick Valentine’s box. Try out this pink googly- eyed robot Valentine’s box! Now were taking robots to the next level with a R2D2 Valentine’s box! 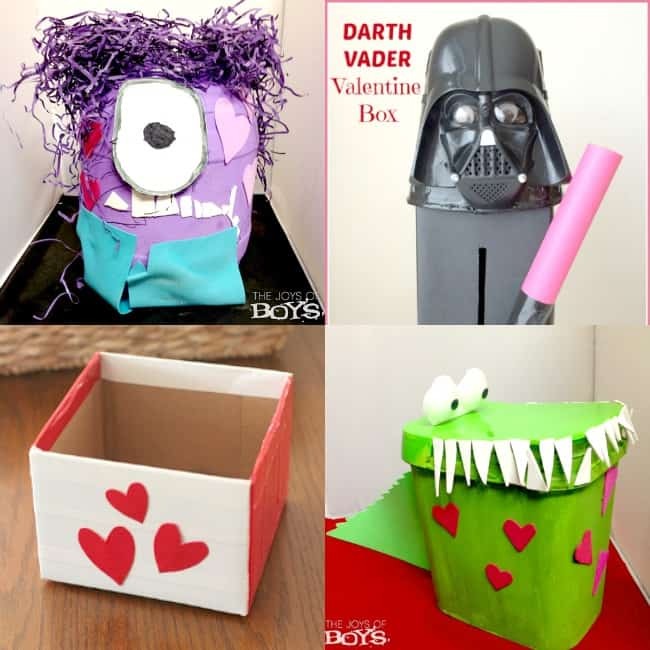 Sticking with the Star Wars theme…a Darth Vadar Valentine’s box. Here is a mean purple minion Valentine’s box from Despicable Me 2! If you kiddos love superheroes then they will be obsessed with this Superman Valentine’s box. This Valentine’s box is so simple. Using only 3 materials you can make a perfectly simple Valentine’s Day box. I have a feeling I will be making this one for my daughter someday…a Frozen Olaf Valentine’s box! For the insect loving kiddos here is a bee Valentine’s mailbox. This fingerprint Valentine’s box is so sweet. You can use your kid’s fingerprints to fingerprint hearts all over the outside. Do your kids love the book Pete the Cat? Here is an adorable Pete the Cat Valentine’s box with a free printable template to make it easier to create! This realistic looking mailbox as a Valentine’s box is the most adorable thing EVER! Here is another “mailbox” version of a Valentine’s box, but this one is bright and girly. So cute! Another Despicable Me minion Valentine’s box. This version is the yellow minions! I am totally obsessed with this Mickey and Minnie mouse Valentine’s Day boxes. I can’t help but think of how cute these would be for girl/boy twins! Unicorns are all the rage right now and this unicorn Valentine’s day box ranks right up there with the best! Another animal lover Valentine’s box…a panda bear! A fashionable purse Valentine’s box is just what your girly girl needs to tote her Valentine’s cards around. 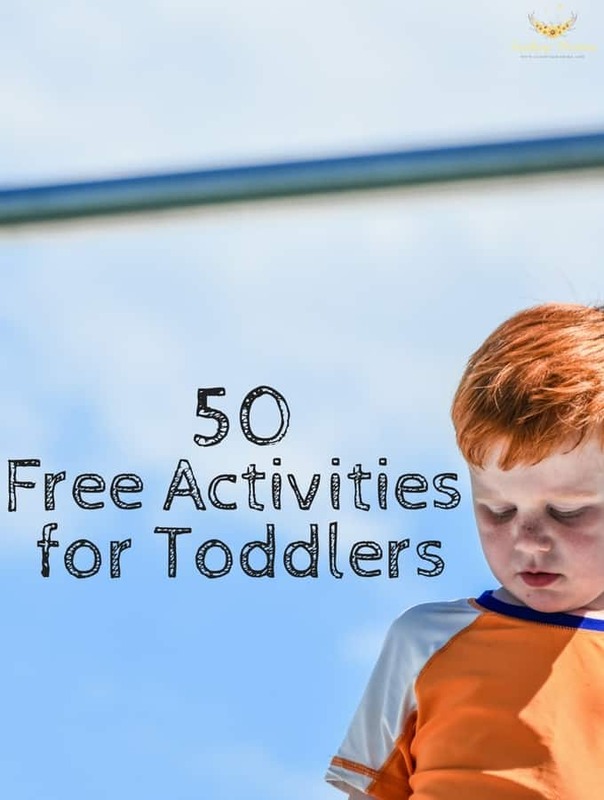 I am a stay at home/work at home mom and often I find myself racking my brain to find free activities for toddlers. Even though we are definitely not a screen free family I try my hardest to do enough activities with our toddler so that she isn’t sitting in front of the TV all day. All of these activities are virtually free. There area few that require materials, but most people probably have them around the house. What do you do with you toddler during the day? I know when you stay at home with your kids the day can get repetitive, but going out to do something just ends up costing too much money. Hopefully this list gives you some solid activities to spend some quality time with your toddlers and get them away from the electronics while still staying under budget! 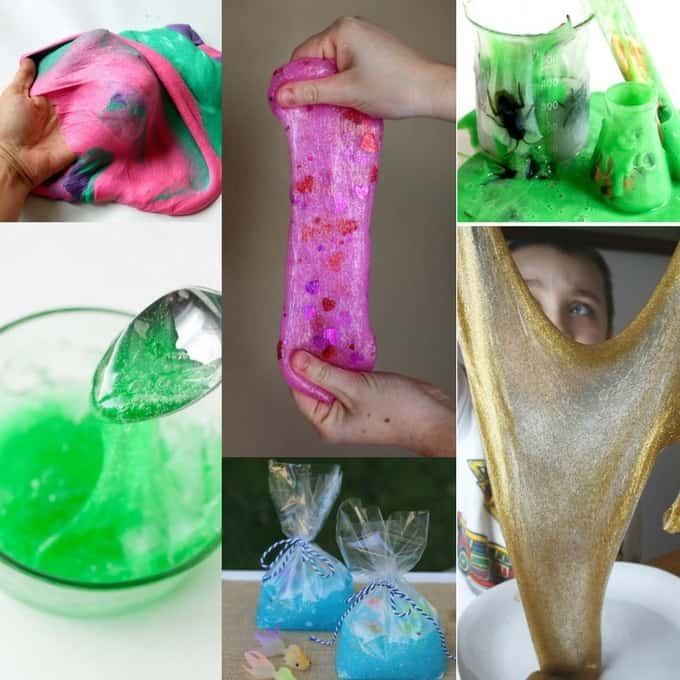 If you have never made your own slime at home, you are truly missing out! It is one of the most fun sensory activities EVER. 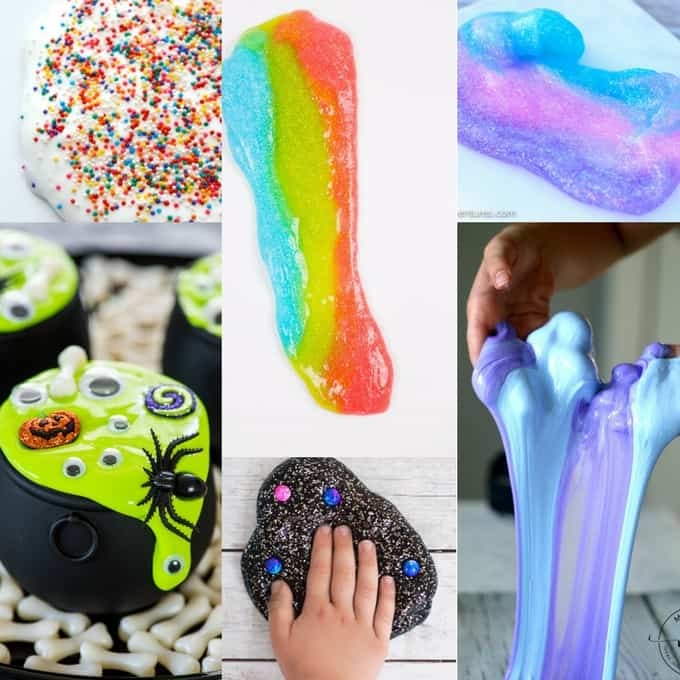 Dive into the slime making addiction with one of these 101 outstanding homemade slime recipes! Follow us on Pinterest for even more fun Kids Activites like these! This post is sponsored by Green Kid Crafts. All opinions are my own. Our family is no stranger to kids subscription boxes. We have been ordering them and completing the projects for several years now and it is one of our favorite kid activities! Green Kid Crafts has been one of our favorites for years. There are many reasons why, but between the price, the quality, and the fun it has always been a front runner and one that we order from time and time again. A Green Kid Crafts subscription is also one of our favorite things to gift our daughter or other children that we are giving to for birthdays and holidays! There are many reasons why, but the primary one is that I really try to value experiences over gifts. They hold more memories and last longer than any cheap toy ever will. These subscription boxes make it easy for us to do that and provide us with some really great bonding time too! As busy parents, most of us don’t have time to come up with elaborate kid activities that are high quality, fun, and educational. In fact, I don’t have time to come up with kid activities AT ALL so ordering a subscription from Green Kid Crafts is a no brainer for me. It takes all the planning and guesswork out of creating educational activities for your kids. The activities come pre-planned and pre-packaged. All you have to do is open the box and start! Each box has a different “theme” to it. Some are arts and crafts related, some are physics, some are chemistry, but all of them are super educational and super fun. Kids will not know that they are learning and if they are old enough to recognize that they are doing a science project, they won’t care because they really are so fun. So you can feel confident that your kids are spending their time wisely when they are doing the Green Kid Craft activities! My daughter LOVES getting mail delivered to her. She asks me almost every day if there is mail in the mailbox for her. When her Green Kid Craft box comes each month, it is literally like Christmas morning for her all over again. One of my favorite parts about gifting kids a subscription to Green Kid Crafts is that it isn’t just a one and done gift that they will get bored of in a few days. They can look forward to their shipment coming each month! I think this is a great gift for kids who have “everything” already. I know that we are drowning in toys like many families and I would much rather my daughter be gifted something like Green Kid Crafts that she could spend time on! There are many different kid subscription box companies to choose from, but one reason why I always go back to Green Kid Crafts is that the boxes are jam packed with activities. Each box has multiple activities that can keep kids busy for HOURS. Plus, all of the materials are super high quality. When I need to clean the house or cook dinner and my daughter just isn’t having it, these subscription box activities are a lifesaver. I can sit her down and give her the basic instructions and she can play for however long I need her to in order to get things done. They are great for rainy days when the kids are cooped up or school breaks where the kids start to get bored! The new, live action, Christopher Robin movie comes out this week and I am bursting at the seems to take my daughter to see it! Christopher Robin, the young boy who had so many adventures in the Hundred Acre Wood is now grown up. He is feeling a little lost in life when his long lost stuffed animal friends make an appearance in the real world to help guide him back to what is really important. With new kid movies always comes kid obsessions and when my daughter falls in love with a movie she immediately tells me that she wants that movie to be her birthday party theme. 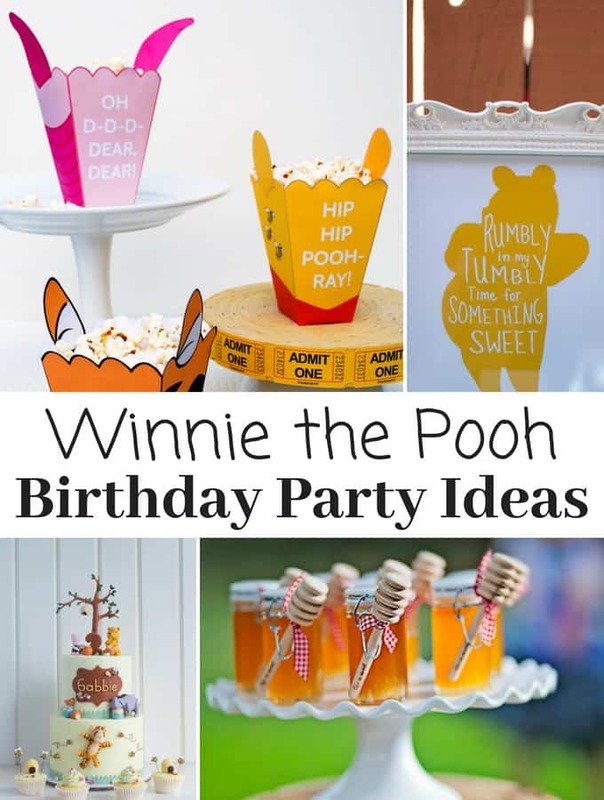 So if your kids fall in love with the Christopher Robin movie this weekend (which they totally will) here are a ton of fun Winnie the Pooh birthday party ideas to help them celebrate! Make these easy DIY Winnie the Pooh honey jars out of mason jars to use as vases for the party. Set up this Hundred Acre Wood sign to greet party goers as they arrive at the event! This Winnie the Pooh cake from TRP Cake Studio is not one I could even try to replicate. They are so talented! I am in love with these cookies to have sitting out on the table during the party! 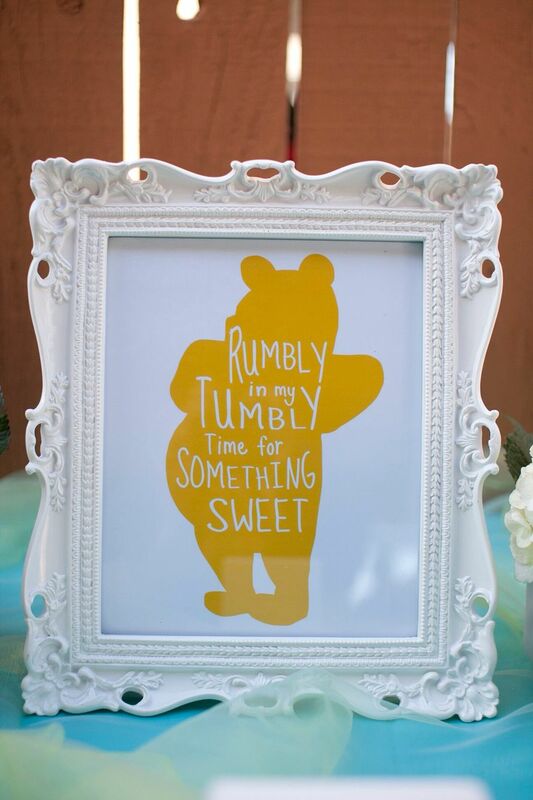 Here is another adorable version of the Hundred Acre Wood sign to put at the entrance of the party. If you have a little girl and especially if it is a first birthday party, you have to put her in this Winnie the Pooh outfit…too cute! These Winnie the Pooh Rice Krispies are so creative! How adorable are these popcorn boxes? They are a free printable too! This rumbly in my tumbly sign would be super cute set up on a candy or snack table. Use this easy DIY idea to make “Rabbits Carrots”. You can fill the bags with whatever treats your kids like! 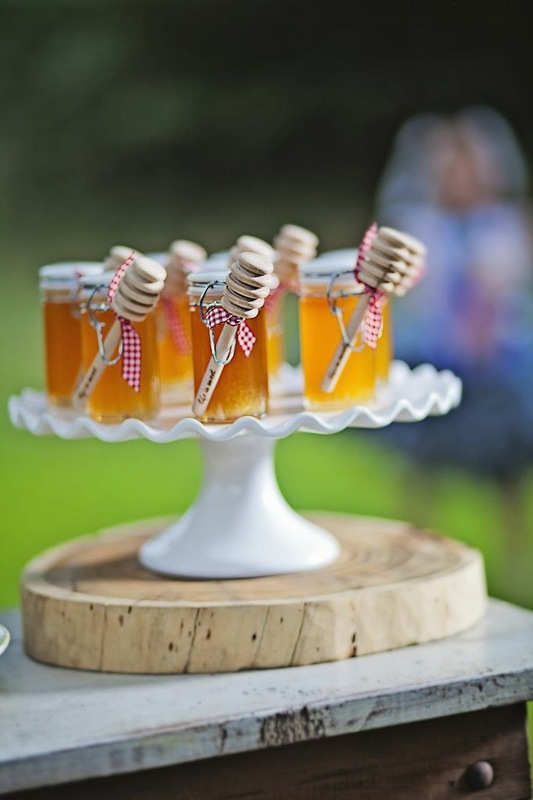 These honey jar party favors might be the cutest idea that I have found yet! If you are looking for some adorable invitations for the party check out these endless options. Sensory bags help stimulate your child’s senses, help them develop fine motor skills, and promote creativity, exploration, and play! Not to mention, sensory bags are extremely inexpensive and can provide hours of playtime for your kids! Sensory bags are really each to make and typically take limited materials. You might even have most of the materials laying around your home. What I love most about sensory bags is that they aren’t age specific. 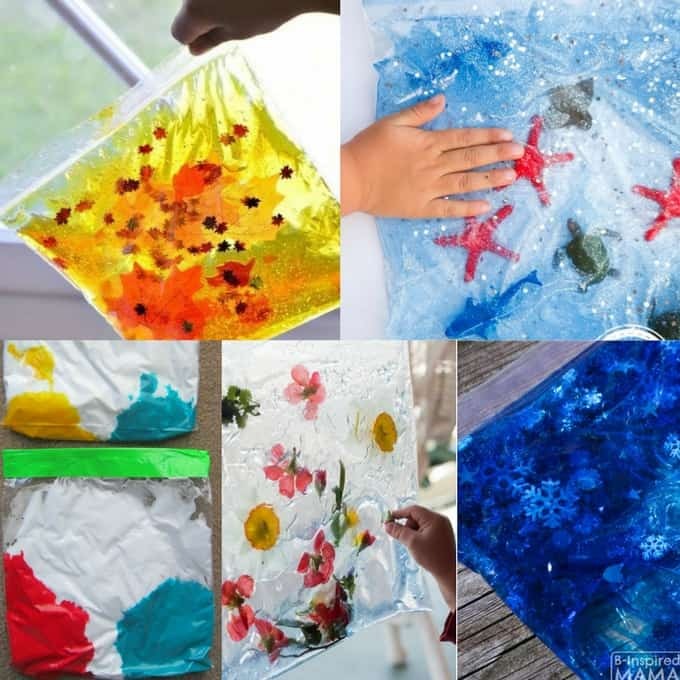 You can make sensory bags for your babies to use during tummy time, you can create learning sensory bags for your preschoolers, and you can make sensory bags that your older children will love as well! 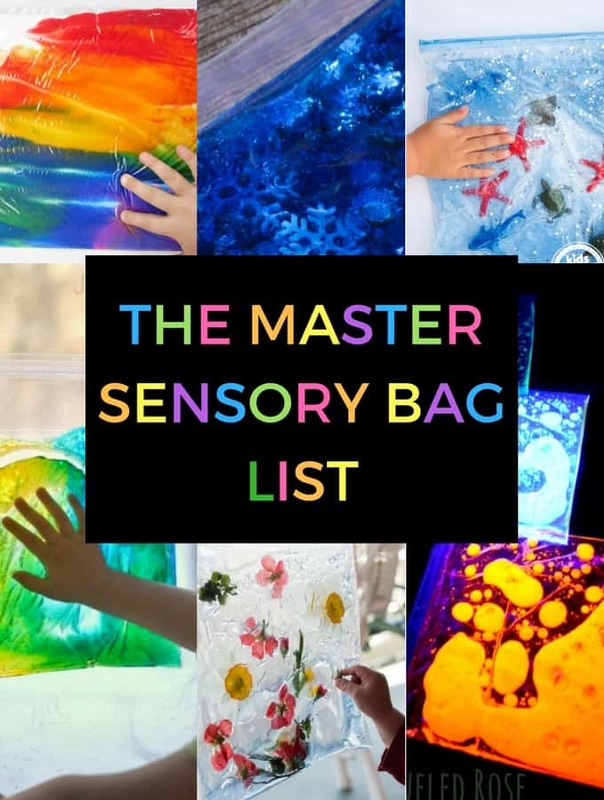 There are tons of ways that you can put together a sensory bag, but here are some of our favorite ideas! 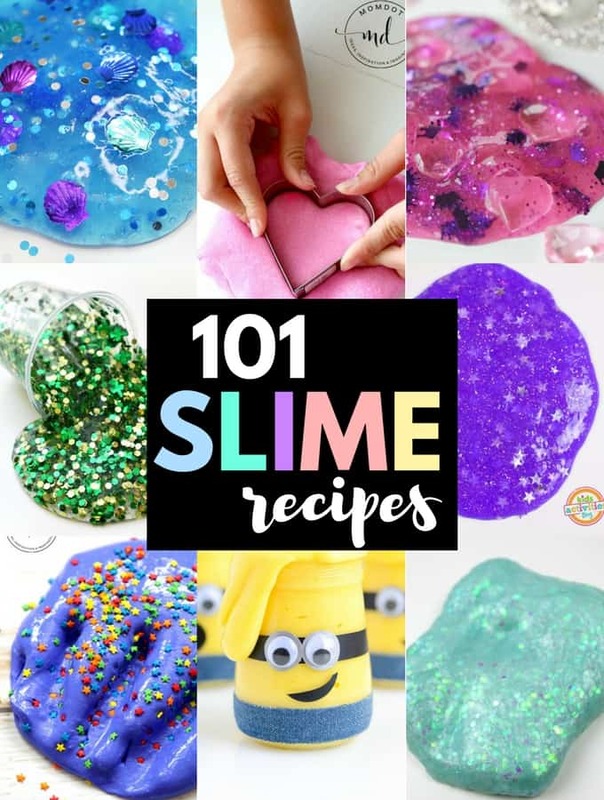 You may also like this HUGE list of DIY slime recipes…have fun! I received product and compensation from Mead Johnson Nutrition to create this post written by me. All experiences and opinions expressed in this post are my own and not those of Mead Johnson Nutrition. You can contact Mead Johnson Nutrition with product related questions or comments toll free at 1-888-777-3395. 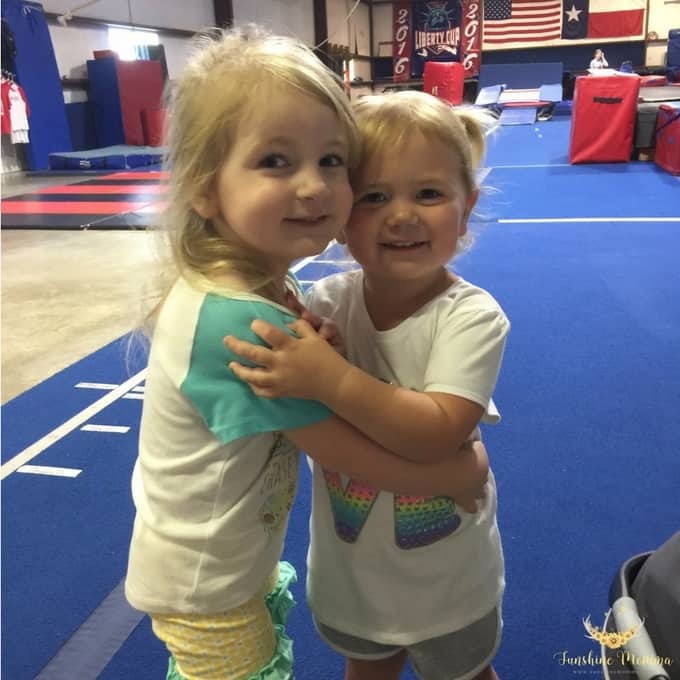 It might seem ridiculous to put a child so young in an organized sports class, but we have many reasons why we decided to get our daughter involved in toddler gymnastics. Before I get into why we believe that getting your toddler involved in sports at a young age is important I want to touch on how to safely get your toddler involved in sports. Make sure that the coach knows what he/she is talking about when it comes to the sport and knows how to safely teach children that young. You want to make sure that the coach is compatible with your toddler. Many toddlers are already a little shy and if they don’t hit it off with the coach then they may not enjoy going. Just like any of us, toddlers need to stay hydrated during exercise. 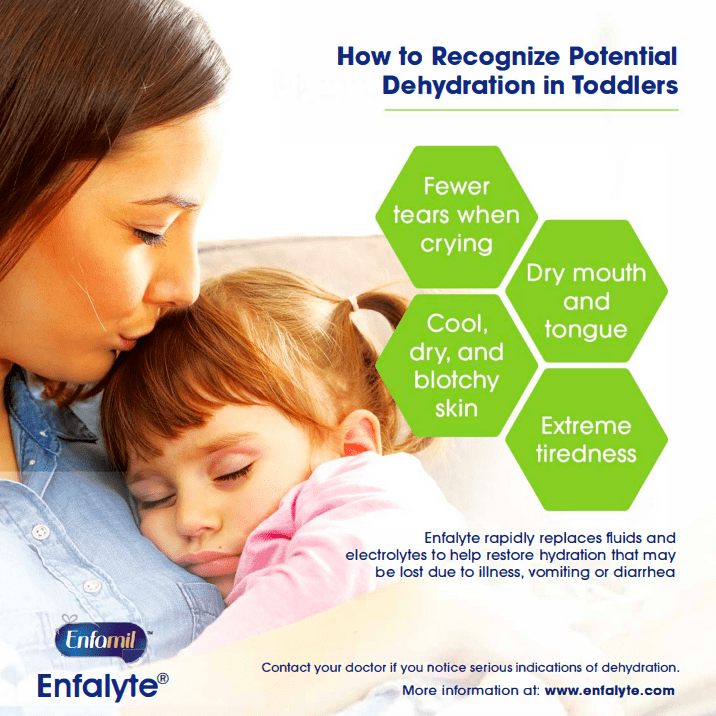 To help keep our daughter hydrated, we give her Enfamil® Enfalyte® to drink. Most of the time before since gymnastics is in the morning we will give it to her with breakfast or on the way to the practice. 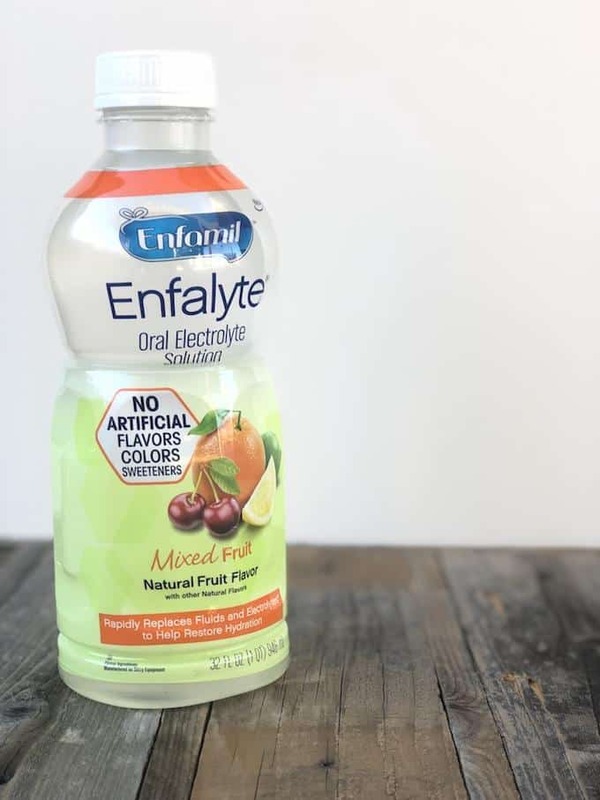 Enfalyte is an oral electrolyte solution that will replace lost electrolytes and water to help your kids stay hydrated during and after exercise. It comes in flavors that your kids love like Mixed Fruit and Cherry so it isn’t something that I have to force my daughter to drink. It contains no artificial flavors, colors or sweeteners and is from the makers of Enfamil baby formula! We originally got this tip from the hospital when my daughter had a stomach bug. They told us that Enfalyte could be used to replenish lost fluids during sickness, hot weather, exercise, etc. Enfalyte is just a really great “tool” for parents to keep around. You never know when you might need it! If the sport needs your toddler to have tennis shoes and their hair pulled back make sure you follow the rules. They have them for a reason and most likely that is to prevent injury. Kids get hungry when they burn energy and calories just like we do. B always eats both before and after her gymnastics class. Usually something healthy like a banana and Enfalyte or something similar. One of the big reasons why we decided to get our daughter into gymnastics is because I am a stay at home mom and she is an only child. She was getting very minimal social interaction (besides with me) and absolutely no social interaction with kids her age. For my daughter’s whole life, she has only really had to obey myself and her dad. She’s never had to wait her turn, share with other kids, or take direction from another adult. We thought that introducing her to a structured class like this one would be a great way to teach her this. When she first started she could hardly stand waiting her turn or standing on the white lines to wait for instruction from the coach, but as time went on she got better at it. I am a firm believer in teaching healthy habits young. 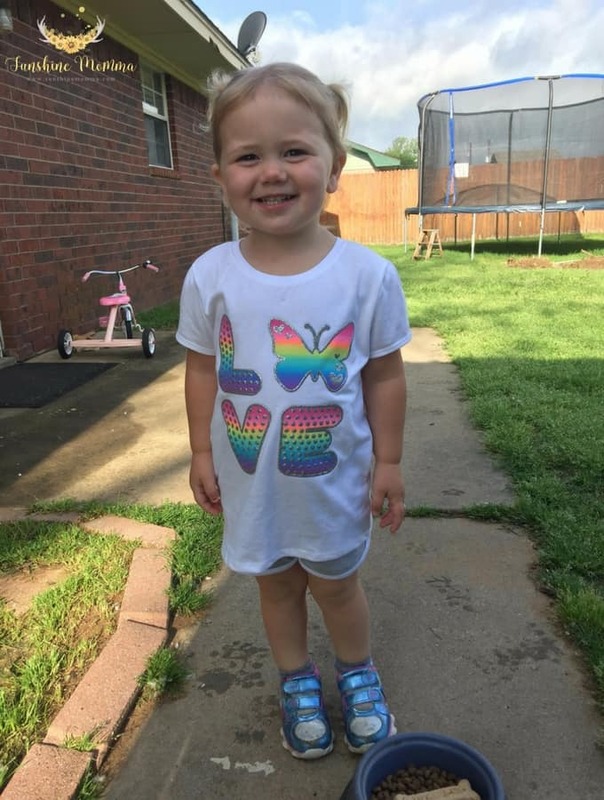 We have been feeding our daughter healthy meals like salmon and veggies from the moment she could eat and she is the best eater I could ask for. I feel like if I introduce exercise and sports in a fun way while she is young, she will grow up with that as her “normal”. 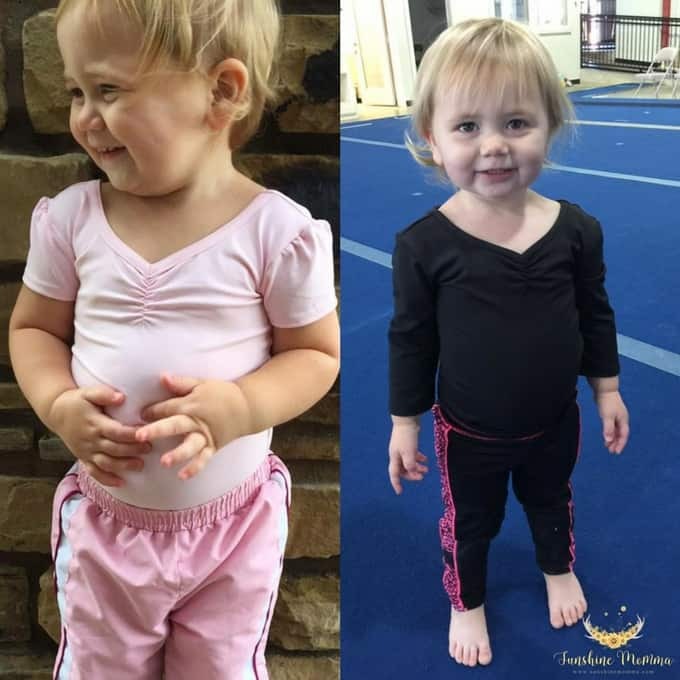 The benefits of toddler gymnastics aren’t only mental, they are physical too! 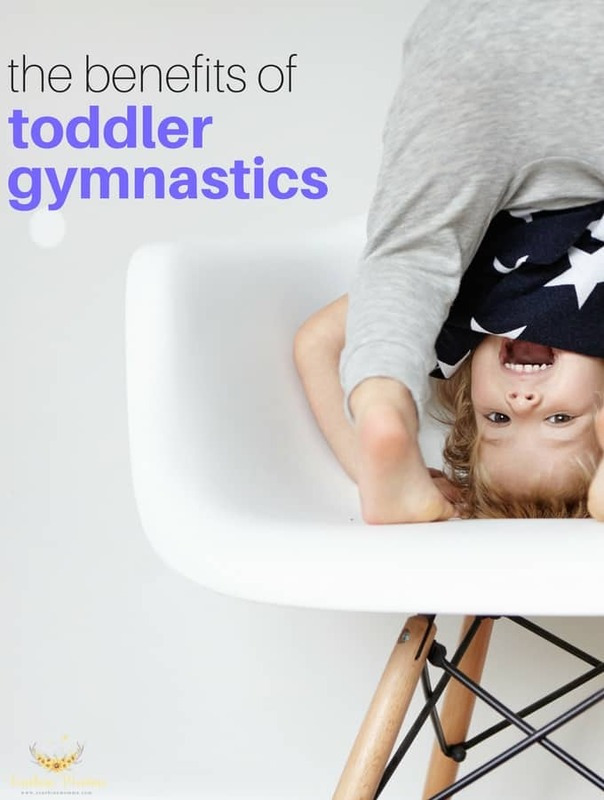 Gymnastics helps improve flexibility, develop cognitive skills, improve strength, improve coordination, hand eye coordination, muscle control…the physical reasons for toddlers doing gymnastics are endless! 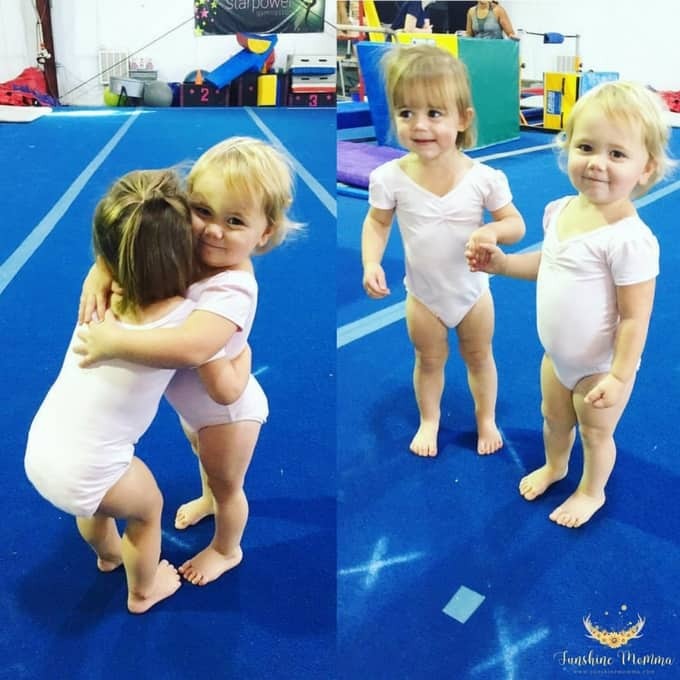 Lastly, I wanted my toddler to join gymnastics and feel good about what she accomplishes with her body. The joy I have seen on her face every time she conquers something that she has been working on is priceless. She has learned that she does not need me right next to her to accomplish tasks and she has become even more independent than she already was! This is sponsored by Enfamil® Enfalyte® Oral Electrolyte Solution. I am a big traditions person and I love keeping up with things year after year. So when I got the idea to make a first day of school questionnaire I knew I had to do it! 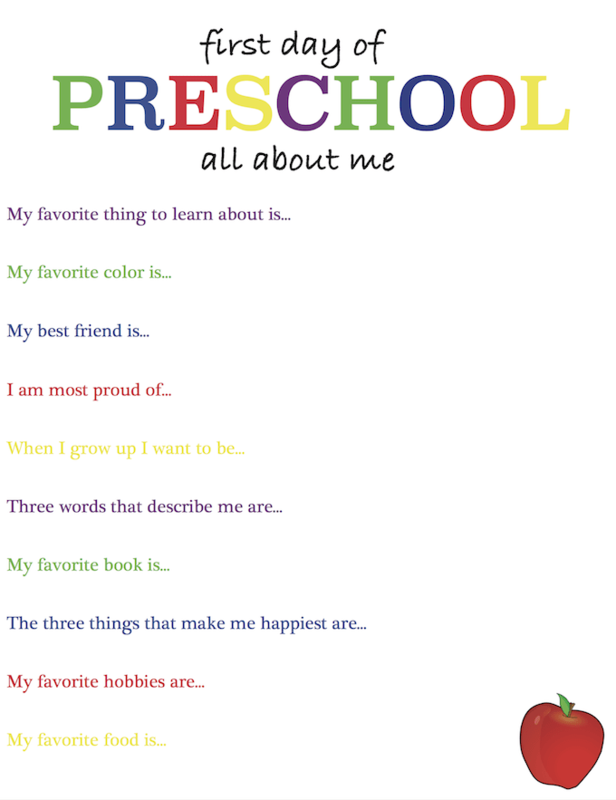 I was thinking about how much I love the yearly first day of school photos with the kids holding the cute signs and I thought of another idea that I just LOVE….first day of school questionnaires! 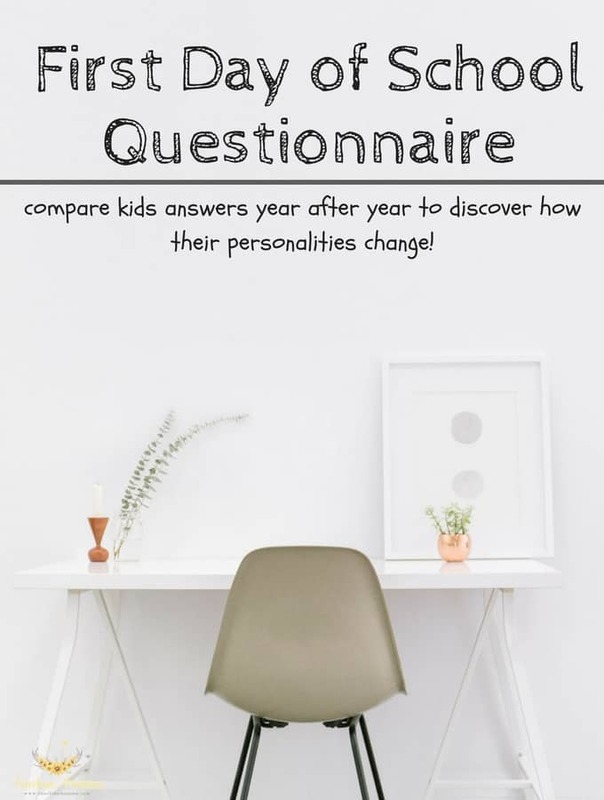 My idea is that each year, before your kids go back to school, you have them fill out (or help them fill out) a short questionnaire about themselves. This way, you can see how your child changes year after year. The best part is that one day you will be able to look back at all of them and remember these things about your child as they were growing up. You can easily DIY this by making up your own questions and writing or typing them out, but I went ahead and made my own to share with you so that you can just print them out and use them if you want! Even though most of these questions are fairly basic I felt like they were pretty versatile to use for such a wide age range. You can even switch up the questions as your kiddos get older to adapt more to their age group. I cannot wait to look back years from now and see what B writes down each year! Looking for more back to school tips? Holiday themed activities are great for both homeschool moms and teachers. These St. Patrick’s Day activities for kids will make it easy to teach children about the holidays! St. Patricks Day Cereal Sensory Play– Using cereal in a bin like this is a great for sensory play and using the cups and tongs are great for developing fine motor skills. Plus you can eat while you’re playing! Leprechaun Trap Box– Help your kids make a sparkling Leprechaun trap this St. Patrick’s Day! Rainbow Mobile– I’d love to see these hanging in the classrooms at school. 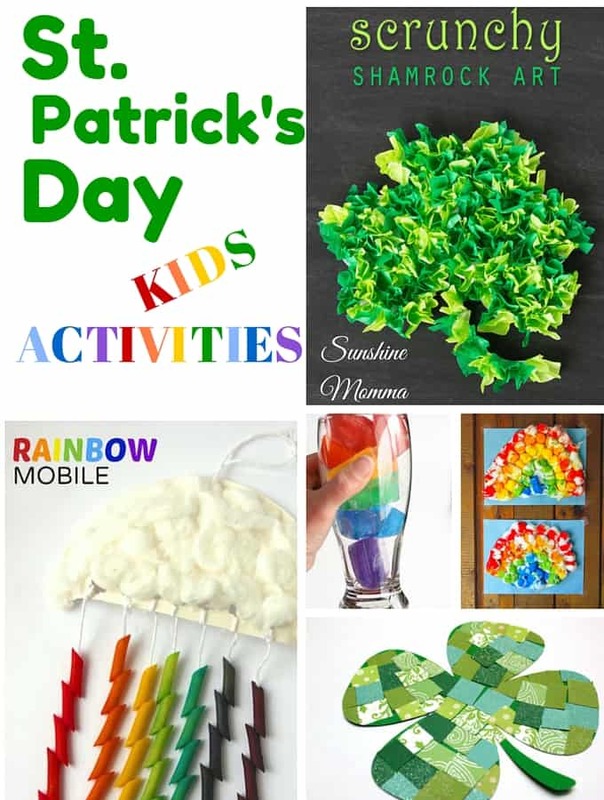 Rainbow Chain Craft– Fun decoration for a St. Patrick’s Day themed party. Plus at the end of this post there is a link to a similar craft! St. Patricks Day Color Pages– These color pages are FREE! Share them with your favorite teachers. Cotton Ball Rainbow– I know my daughter will LOVE getting her hands in the paint to make this craft. Scrunchy Shamrock Art– This craft is intended for older children, but still a lot of fun! Rainbow Suncatcher Craft– Use this craft to teach children about the colors of the rainbow! Magic Leprechaun Rocks– These magic rocks disappear into bubbles once washed and reveal a secret Leprechaun surprise! Mosaic Paper Shamrocks– You have to read this post and check out the beautiful way this mama shared her kids shamrock crafts on their mantle! St. Patricks Day Rainbow Water– The kids in my family would go crazy over this. I can’t wait to try it! St. Patricks Day File Folder Games– You can use these games with your kids to learn letters and counting. St. Patricks Day Fizzing Pots– This is way more simple than it looks and an awesome way to get your kids interested in science. St. Patricks Day Slime– My 16 month old will love this sensory activity! St. Patricks Day Shamrock Craft– You only need 2 supplies for this activity! Surprise St. Patrick’s Day Craft– This little guy’s hat can magically disappear! St. Patricks Day Coin Dig– This is so easy to make and looks like so much fun for most ages. Plus in the post she shares clean up tips for this messy activity. St. Patricks Day Bingo– So fun for the classroom and you can print the cards for FREE!